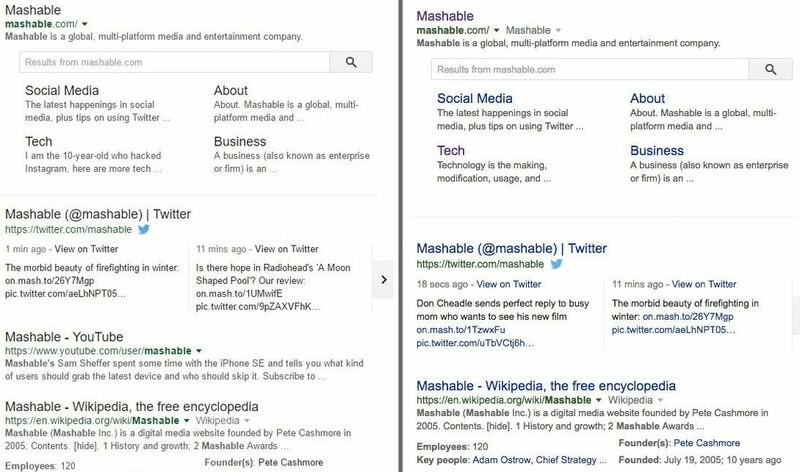 The tech giant is currently experimenting with black links in search results, so if you’re still seeing classic blue links instead, consider yourself lucky. 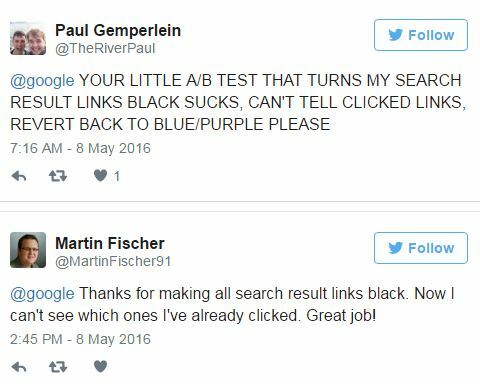 Otherwise, your links are appearing the same color as regular black text on a typical webpage. This departure to black is very different though, and it’s unclear exactly why Google is testing it. Blue links is a pretty standard design convention on the Internet and turning them black does not allow users to easily distinguish links from normal text. Color is a big signifier in determining whether an element on a website is interactive.